Stock body mounts deteriorate over time and cost a fortune. Urethane mounts are hard and squeak. 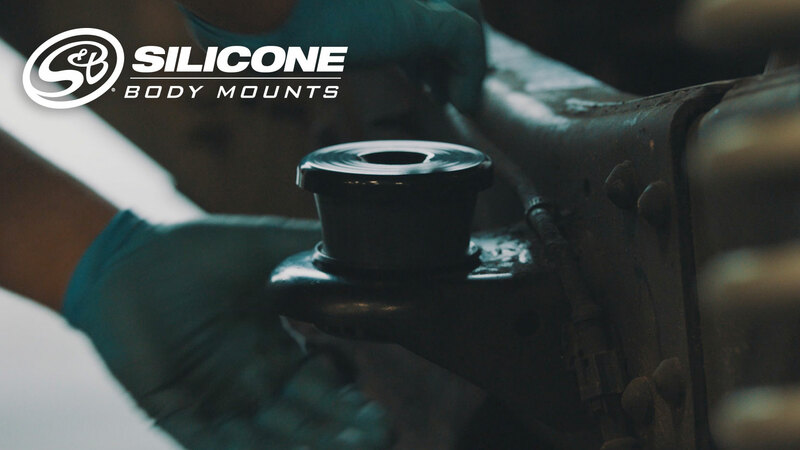 S&B’s Silicone Body Mounts have a smooth stock ride and last the life of your truck. These bushings offer great vibration isolation and will not crack or breakdown like the OEM foam or rubber bushings. Also comes with corrosion resistant coated steel cups and bolts. The cap bushings have a distinct boss feature on it that matches the slot on the mounting tabs. They are designed to key into the frame tab and give it an OEM fit.